How many banks offered continues pricing throughout today’s EURCHF carnage? It’s taken nearly three and a half years, but finally the Swiss National Bank has capitulated to market forces, having spend billions in a futile attempt to defend the EURCHF 1.20 floor, which it first set on 16th Sept 2011. Having seen that negative CHF rates weren’t helping, it decided the cost of defending the floor is too great, and this morning after spending another billion, it withdrew. 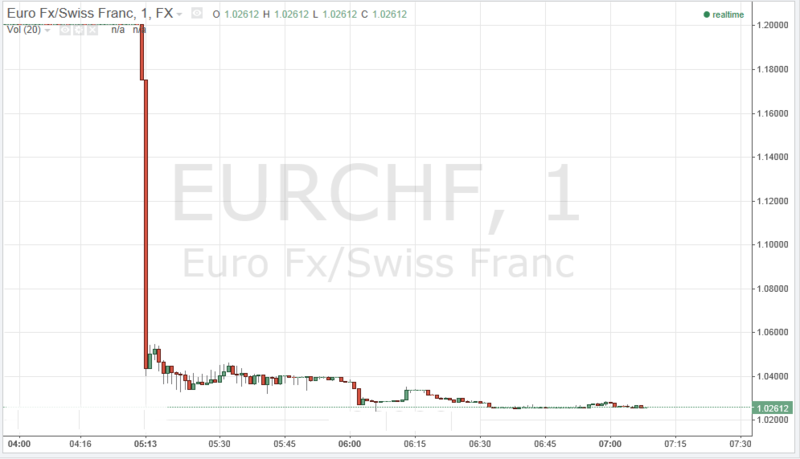 As a result the EURCHF rate plummeted, taking out umpteen stops in the resultant carnage, and talk of it falling to a low of around 0.8520 centimes/Eur an unbelievable intraday move. 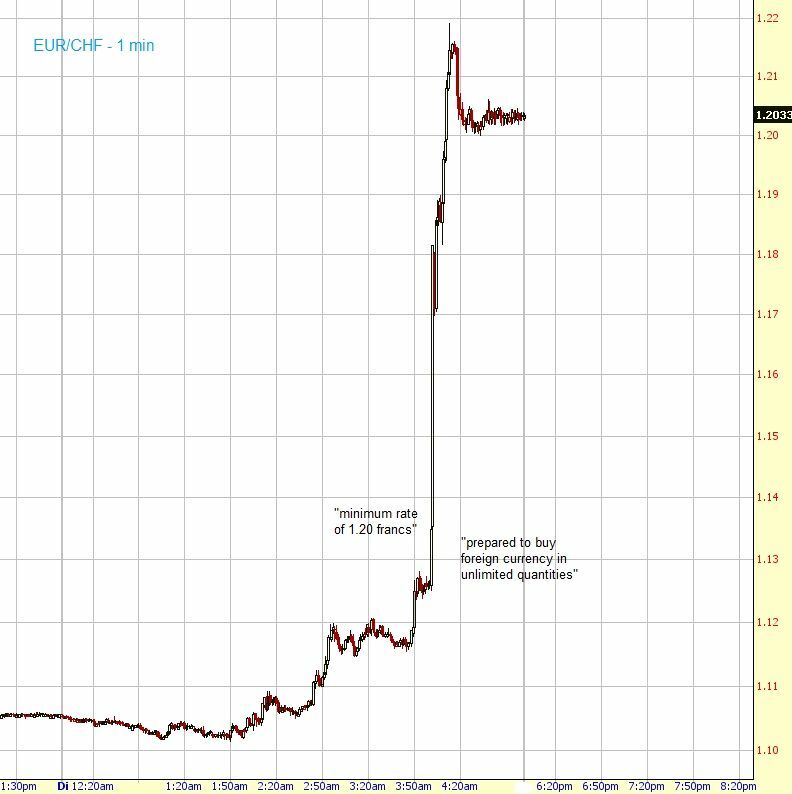 I recall writing a post back in 2011 about bank pricing engines, when the floor was first introduced and the EURCHF rate went from 1.12 to 1.21. 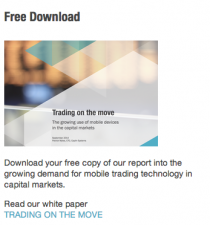 At the time, UBS spoke of providing continuous pricing through the move. The day last month when the Swiss National Bank intervened to weaken the swissy, driving it down against the euro from 1.12 to 1.21 was their most profitable day ever in FX. They claim that their eFX pricing engine was able to quote throughout the move, with 50-60 pip spreads, compared to around 375 pip spread on EBS. Today, many more banks have upgraded their pricing engine technology, internalising ever more flows that enable them to provide clients with robust pricing. So it will be interesting to see how bank pricing engines coped with today’s moves – did they still offer continuous pricing to their clients throughout the move? My guess is that a number of banks did! Seems that I was wrong at time of writing, and this time the move was far more brutal and feedback I have received from banks, funds and electronic trading firms has been that there were a number of times when all bank liquidity provider feeds were turned off! Along with the brokers that were hit, there are also bound to be some of of the new non-bank electronic market-makers that have been caught up in this as well. There are a number of Brokers who are also trying to buy the on-going (profitable) client trading books from brokers who have gone bust. Thanks for your comments. That’s interesting we will certainly see over the next few days comments emerging of which banks were able to quote (even if pricing was very wide).